As an adult reviewing a young adult book, I try to place myself back to how I used to think as a fifteen-year-old. I do believe Lumière will be a thrilling adventure for a teen, but it was difficult for the adult in me to enjoy it. Usually there is no issue, but in this case, the adult in me tainted the experience. Lumière's beginning was slightly difficult to read, but filled with rich details that immerses the reader into the story. We meet Eyelet, who comes off as frantic, not thinking of consequences and just acting. Aside from important details being left out, leaving the reader confused, Eyelet was what made Lumière difficult for me to read. Impulsive, entitled, pushy, she is the epitome of what I would not like a teen to behave like. It's amazing she made it to the age of seventeen without someone clocking her. Urlick was interesting to meet, with his intriguing backstory and physical maladies, but his nice & nasty attitude turned me off to him in a nanosecond. 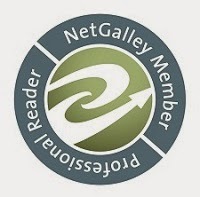 So what made the book most difficult to read is that not only couldn't I connect to either narrator, I actually disliked them on a personal level. In real life, if I met either of them, I wouldn't befriend them unless their behavior changed. So no matter how engrossing the storyline was, I had to suffer through the storytellers. Steampunk: richly detailed, slightly confusing as names of things were never explained. The timeline: one paragraph to the next, where the scene flowed in the blink of an eye, a page later Eyelet would say it was the next day, not two minutes later, but nothing happened in between. At one point, it was 3 weeks later, from one scene to the next, but Eyelet thought to herself how she was mean to Urlick the day before (a major event in the book – the storm approaching) but it was most certainly three entire weeks (the passing storm and the two weeks after waiting for the criminals to be dropped off). This type of thing happened several times, confusing me further. In conclusion: Lumière will delight young adult readers who don't have the capacity to look deeper beneath the plot issues. If steampunk is your genre of choice, no doubt this will be a great read. I would read more by this author, as I enjoyed their storytelling and voice, but I will not be continuing on with this series as I did not enjoy Eyelet or Urlick as narrators. Age range: 12+. Set in the Victorian era, Lumière adheres to rules of the era. No cussing, sexual content, slight violence. A recommended read for Young Adult who enjoy Steampunk or Fantasy. What can I say? I love to write. I write every single day. When I'm not writing, I'm reading, or learning something new to incorporate into my business. (Yes, I run my own business...and love every minute of it!) My favourite moments in writing, are when the characters come to life in front of me and start arguing with me on my desk. I love when scenes download that way. Just like a movie. I call it being in the zone. Only trouble is, when I get in the zone, I can't get out of it. Once I'm in, I swear a bomb could go off and I wouldn't notice. Thus, children are sometimes left at school, and I'm notoriously late for everything. But just think what wonderful creations I'd miss out on if this weird phenomenon didn't exist in me! 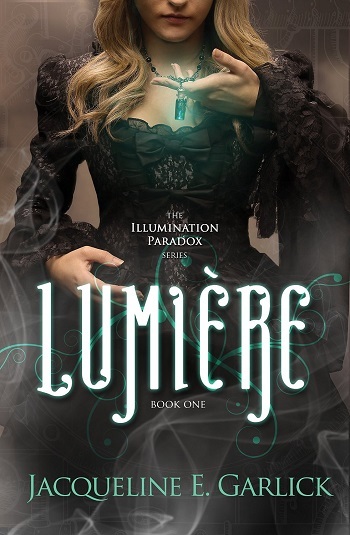 Reviewers on the Wicked Reads Review Team were provided a free copy of Lumière (The Illumination Paradox #1) by Jacqueline E. Garlick to read and review.